Yes, I know this isn't everyone's cup of tea but it can make a statement in the most minimalistic environment. At only $75 how bad of an investment can it be really? I like it for a garage installation. Design and taste are subjective. There is no such thing as bad taste only taste. 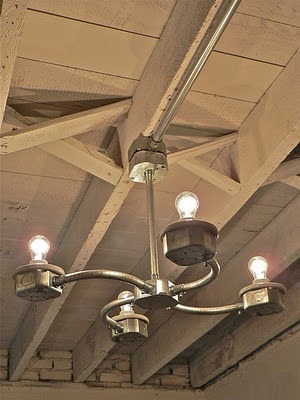 It always adds an extra-special accent if a hand forged iron hardware is put in in its proper placing. In this case, adding it to would is perfect. Looking to those other photos, hand forged iron chandelier seeks for a given attention which is truly given because it is beautifully made. Ahhhh, outdoors are for lounging!